The innovation of iPhone seems dead as Jobs passed away. Many loyal iPhone users are considering to buy an Android phone to replace the old iPhone such as iPhone 4S or iPhone 5. For now, Lenovo Android phone is the one shipped with powerful specs but at a relatively low price. The quality is improved dramatically since it bought Moto from Google. However, when you were preparing to replace the old iPhone, you should consider how to transfer the important files from your iPhone to Lenovo phone. There is no point of using the same old method that saves data from iPhone to your computer and then export data to your Lenovo mobile because this is a time consuming procedure. 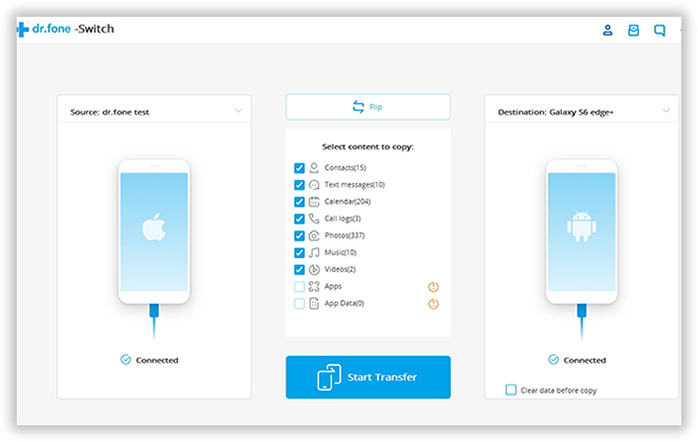 Now this article explains how to transfer data between two mobile phones with one click by using third-party apps. Using a data transfer programs or apps would be the right decision in this case. A good third party tool allows you to transfer all sorts of data between iPhone and Lenovo phone. 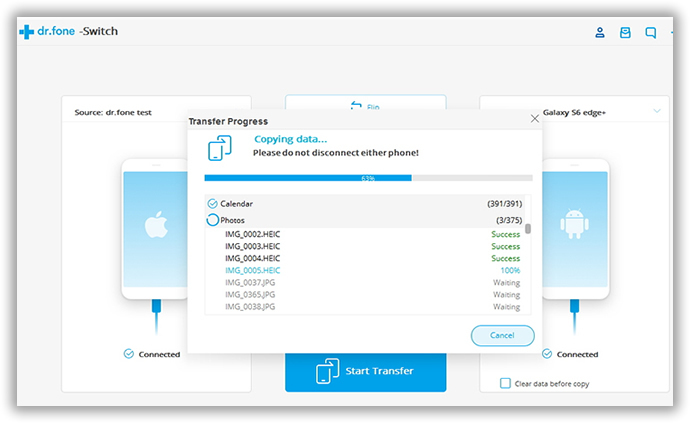 In this article, I am going to use Phone Transfer as the real example because it is one with powerful features and has a very user friendly interface. You don't need to take any time to lean how to use it, even you are completely unfamiliar with computers. Supported Lenovo Phone: Vibe K5/P1/X3/S1/P1/Shot, K5/K4/K3 Note, Zuk Z2/Z1, A6600/A7700/6000/2010/, S60/S850, Phab/Phab Plus and more. Supported File Types: Photos, Contacts, Text Messages, Call log, Callenar, Music and Video. Download the software on your desktop by clicking the above download button. Once you have downloaded .exe file, just double click it to start the install wizard and follow the step by step guide to complete the installation procedure. Once the installation procedure is done, launch the software on your computer. Open the software and click "Switch" option and get your both the phones connected via USB cable. The data will be transferred from source device to destination device. So iPhone should be the source device here and Lenovo should be the destination device here. You can simply use the Flip button the interchange the position. Now you need to check the files that you are going to transfer. The file types are displayed on the middle of the window. Once you have selected all the important files that you would like to transfer, simply click on "Start Transfer" to begin the process. Please do not disconnect the device until the transfer is completed. Note: This software also allows you to erase all the past data in the destination mobile before copying new data. you can easily do that by clicking the option called "Clear Data Before Copy" box. 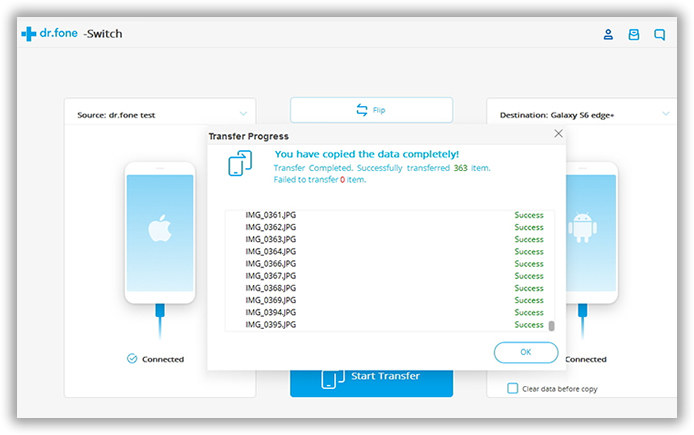 PhoneTransfer is highly optimized and user-friendly program. The developer has made this software so perfectly that it can make things easy for a first time user. 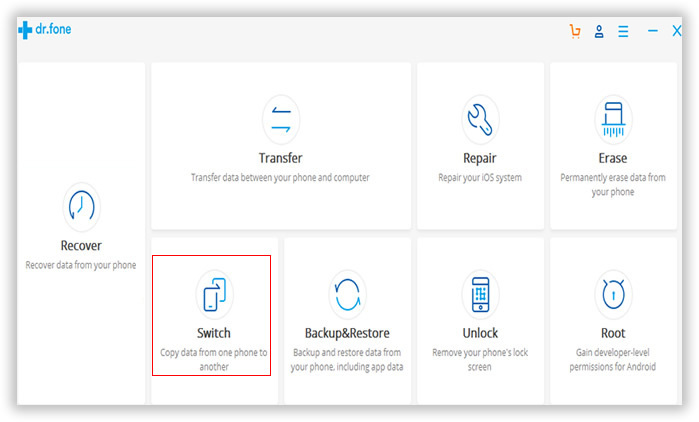 It also allows you to restore your device from existing backup files. This software is fully secured because it ensures you are the only one who can access your data.